t*rexes and tiaras: 2019 Make Nine.. Yes, I definitely mentioned that I was planning to write more blog posts this year. And yes, it is definitely also the end of January already. So.....that's going well. And I was working on a list of goals for the year, which is still in progress even though we're 1/12 through. But, sometimes life gets in the way. One of my goals was to take part in #2019makenine, which is where makers decide on nine patterns or garments they wish to create during the year. I've done this in the past a couple of times, with varying levels of success, but this year I decided to choose my list a little bit differently. I've seen a few people do it this way; I've chosen nine fabrics / yarns from my existing stash in the sewing room, which I want to challenge myself to make into items by the end of the year. 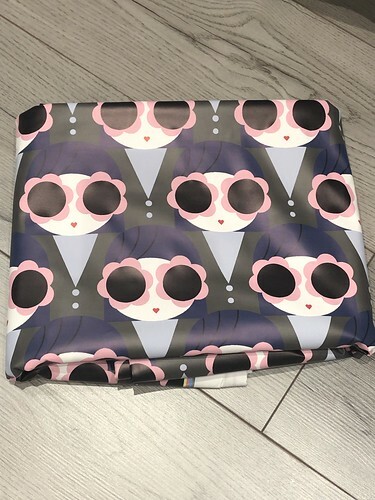 This was quite a fun exercise as I've been unpacking things into the new sewing room and there were fabrics and patterns I'd completely forgotten were in my possession, so I think this should give me the push I need to get on with some of the things I've been meaning to make for a while. Plus, nine items is less than one a month - that seems manageable to me. (Hopefully). Want to see what I've picked out? 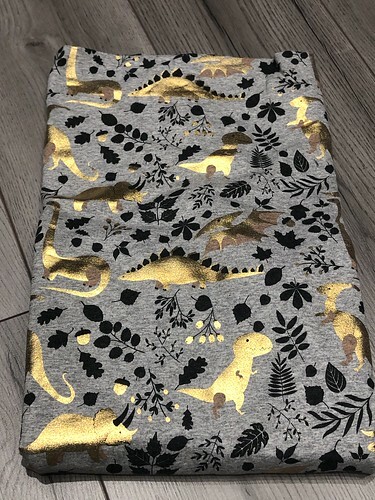 As I only know how to make one kind of jersey dress, and it's a pattern I like, I suspect this metallic dinosaur print jersey will end up being a lady skater dress. Probably with long sleeves, but who knows, maybe I'll give a wrap-over front a try. 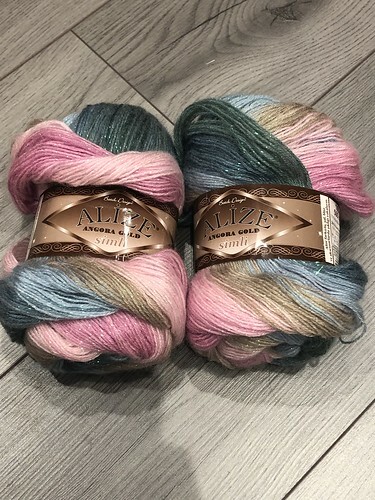 I picked up two balls of this glittery colour-changey yarn when I was in the knitting shop for something else entirely, and I have to admit I'm hopeless at wool quantities, so I have no clue what this will be, but I love the yarn, so want to knit it into something this year. Two cottons, which I will make dresses from. Probably using Simplicity 2444 and some of the neckline options. 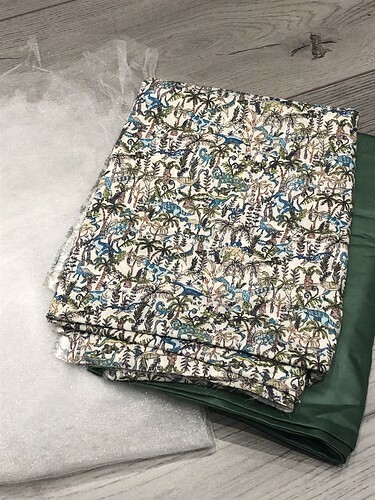 This Liberty dinosaur print cotton lawn is so lovely - it's already got the Betty dress pattern pieces pinned to it ready to cut out. I've found this green lining fabric and will be using this leftover piece of tulle to give the skirt a little more shape, too. I'm trying to decide on a collar for it - probably a Peter Pan one, possibly detachable. Watch this space. One of my most-worn (and ridiculously least documented) makes is a pair of Turia dungarees, so I think this floral print denim will be another pair. I use them in the summer for camping, and general scruffy weekend garden / around the house / painting / errands clothing. One of my friends bought me this kit two Christmasses ago and I still haven't got around to making it. For a while I was blaming the fact that I didn't have the suitable needles, but I've made sure I ordered them with my last knitting supplies, so this year I have no excuse. Can't wait to knit up a triceratops to go on the wall! I almost didn't add this to my selection, as the thought of making a raincoat really pushes me out of my comfort zone, but then I remembered that that's kind of the point of this challenge. So, I'll be searching for a pattern suitable for making a raincoat, and a lot of tutorials. 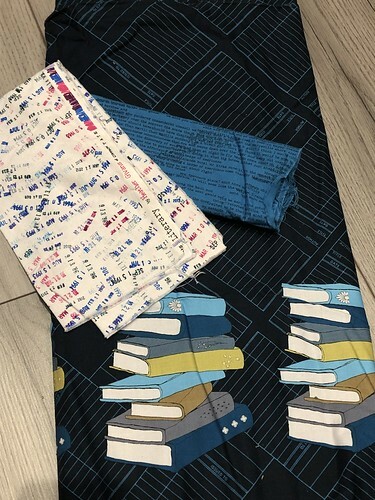 This little combination is going to be a SOI Rosie dress, probably. 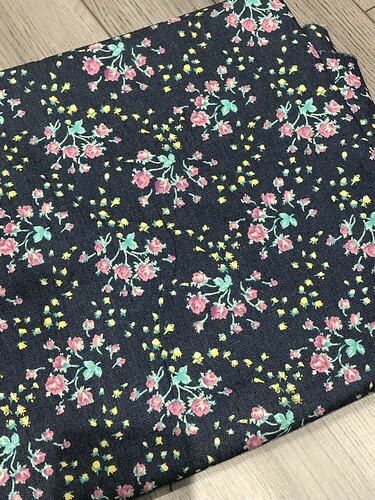 I bought the fabric from a show which had a lovely example of this border print book fabric as a dress with pocket and collar details picked out in the other fabrics. I'm hoping I still have a photo of it to refer to. Have you set yourself any creative challenges this year? 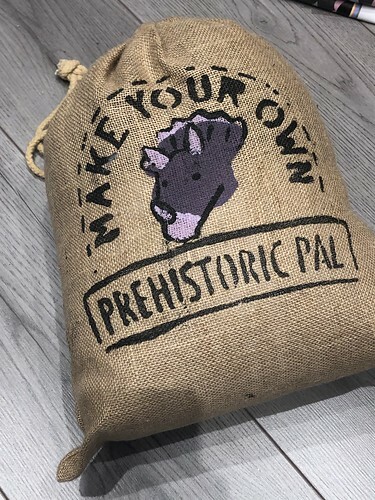 Follow my progress with this on here or on my Instagram account..
Well, I think your dinosaur-heavy crafting plans are amazing! I also have a triceratops head kit to knit, either for me or for my triceratops-mad four year old. Thank you, I'm hoping that I can manage to get them all done! Looking forward to seeing all these made, such beautiful material! Thank you, I'm stressing a little because it's now March and I'm only halfway through the first project. I'm loving the sheer amount of dinosaurs in your creative plans, hehe. That raincoat fabric is fantastic too. Hope you manage to track down a good pattern for it. Oh my goodness!!! A RAIN COAT!!!??! You are amazing! I can't wait to see it! Are you thinking long/short? I like the idea of a maxi raincoat but not sure how practical that is! 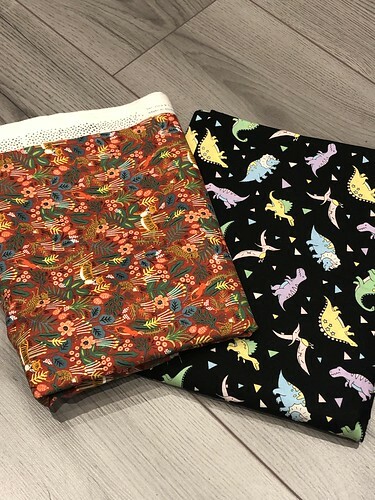 The Dino jersey is beautiful but my favourites are the book fabrics! Wow! Probably just a midi length raincoat - I do had a full length rain mac already and I'm not sure I would get much wear from another - plus I don't think I have enough fabric.